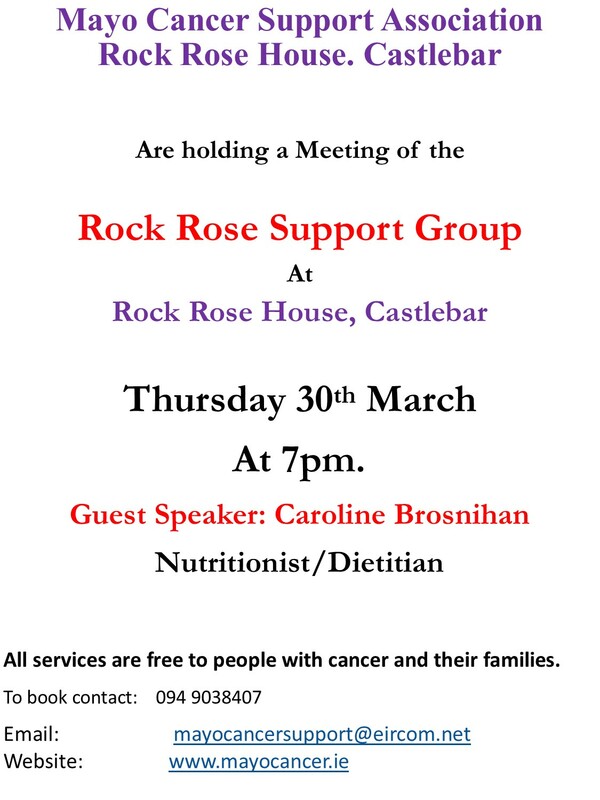 Mayo Cancer Support are holding their monthy Support Group Meeting on Thursday 30th March at 7pm in Rock Rose House, Castlebar. 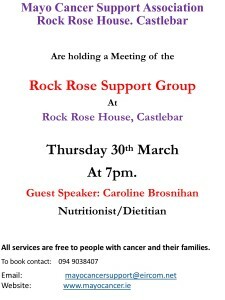 Guest Speaker Dietician and Nutrionist, Caroline Brosnihan will be in attendance to offer advice and support on the night. Kieran Gough, London Marathon Fundraiser. 28th April.